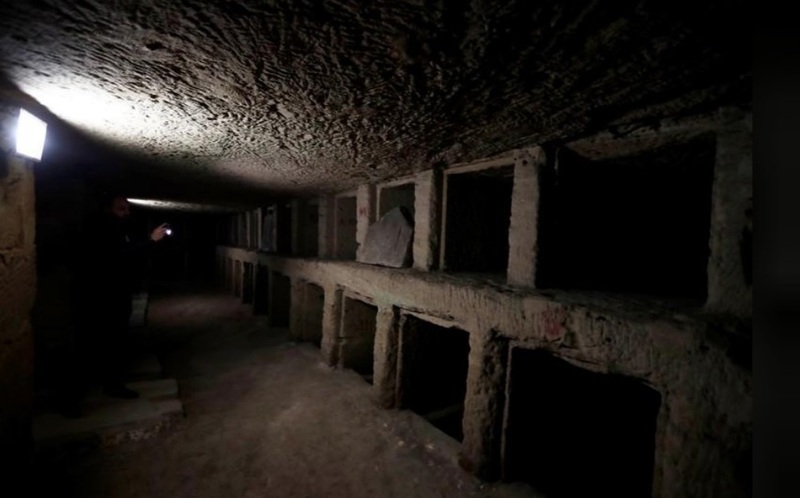 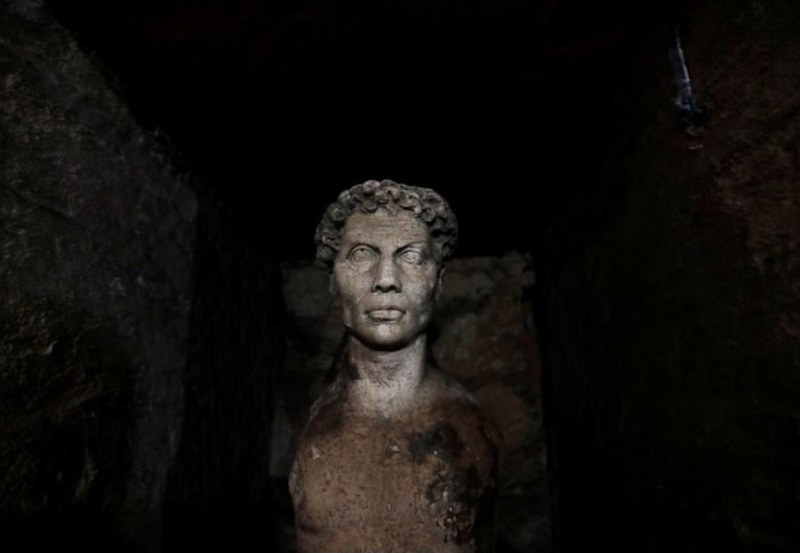 Egypt on Sunday completed a project to restore the catacombs of Kom el-Shuqafa in western Alexandria, which have been prone to groundwater leaks since they were discovered in the first decade of the 20th century. The restoration, which began in late 2017, was completed using a $5.7 million grant from the U.S. Agency for International Development (USAID). 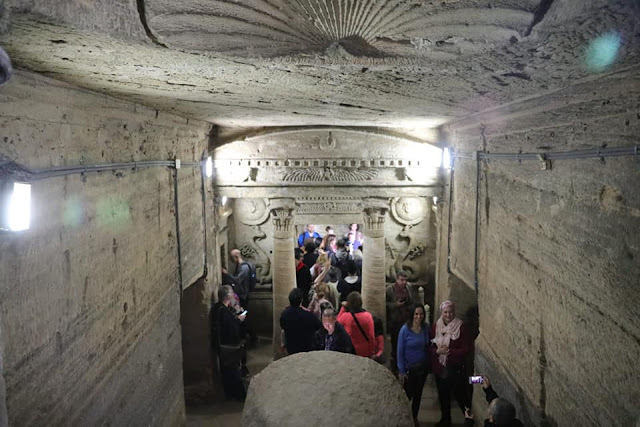 The grant also covered maintenance and training for ministry employees. “The antiquity underwent many restoration projects, the most important of which was in the mid-nineties, which was an ambitious project supervised by the Supreme Council of Antiquities,” Antiquities Minister Khaled al-Anani said from the site on Sunday. 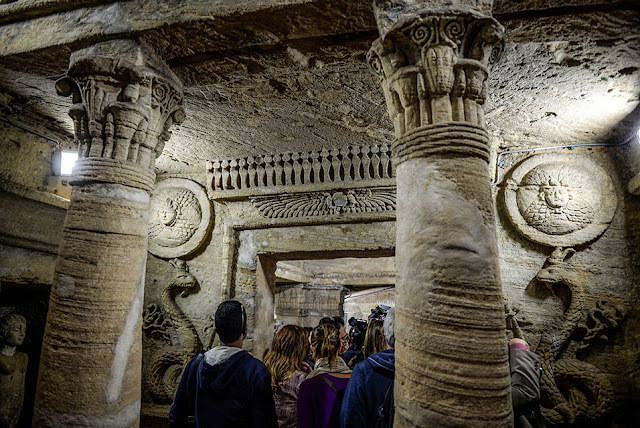 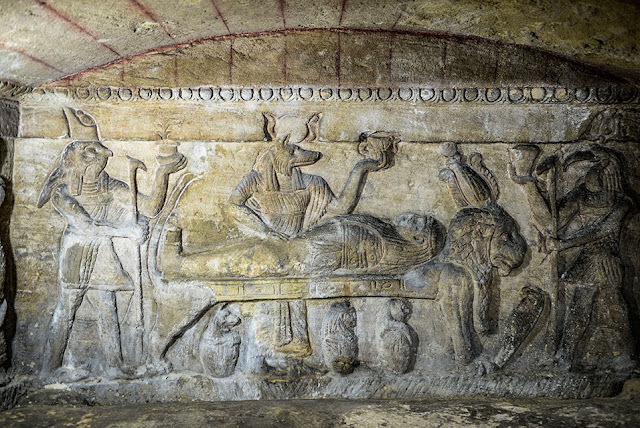 The catacombs are unique, mixing ancient Egyptian and Graeco-Roman architectural styles. 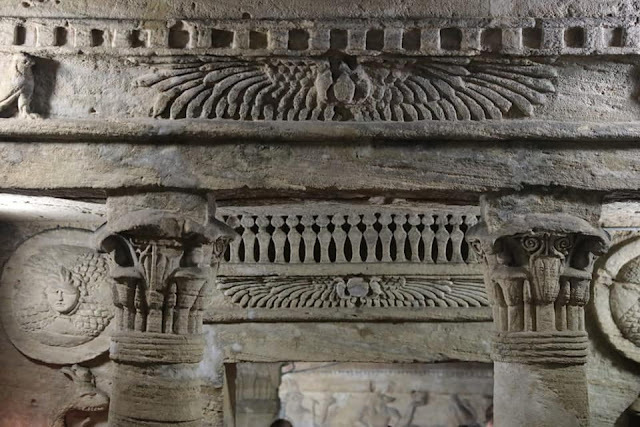 They were carved into the rock on three levels. The ground level was damaged by water from nearby farmland and a canal, as well as sewage water. Al-Anani said a similar project will be opened on March 25 at Kom Ombo in Aswan governorate. 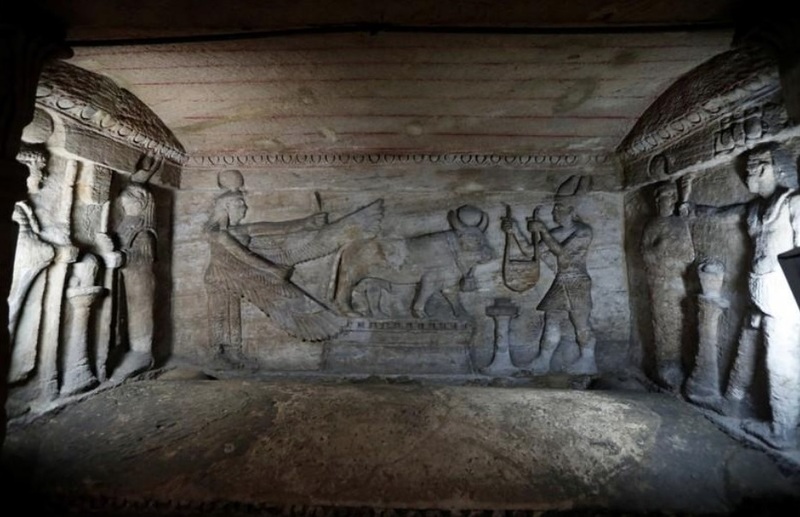 Egypt has been working to revive its tourism industry - a key source of foreign currency - which was badly hit after the 2011 popular uprising that unseated Hosni Mubarak and was further hampered by a spate of militant attacks that sometimes targeted visitors.